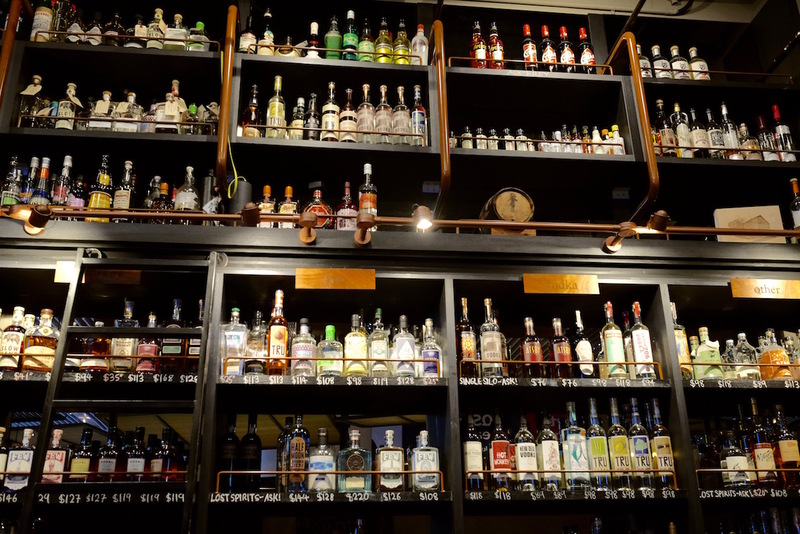 Located in the basement floor of Ocean Financial Centre right smack in the middle of Singapore’s Central Business District is a bar that has been there for a couple of years. In fact it is so well-hidden that many of those who work in the area – and who tread along the underground passageway past the bar to and from the main train station – may still be oblivious to its presence. Not that it’s wholly their fault. The Secret Mermaid operates as its alter ego of Japanese eatery Shinkansen by day and only transforms into a cocktail bar by night, which makes it not so obvious to casual observers. 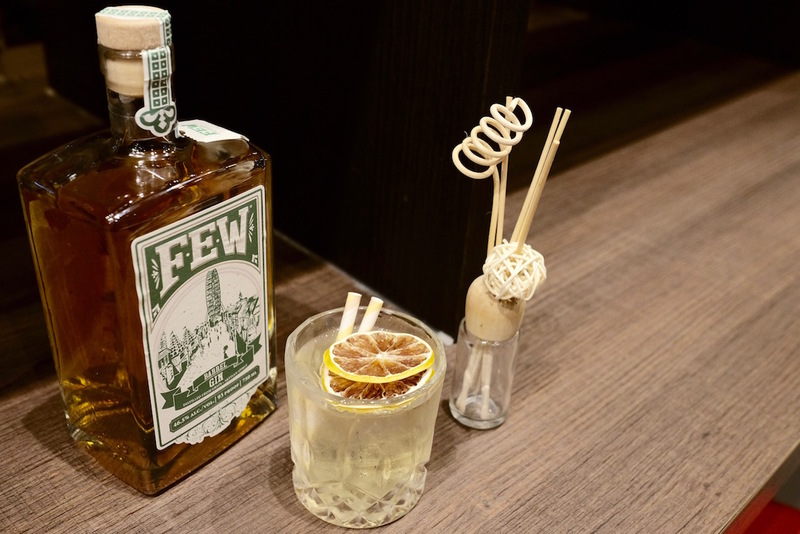 Opened by the same folks behind Standing Sushi Bar and Tanuki Raw, The Secret Mermaid even has a secondary role as the showroom for Liberty Spirits Asia, the group’s importing and distribution arm of American craft spirits. The multiple roles played by the space inhabited by The Secret Mermaid, of course, is a genius way of leveraging space in the sky-high rentals of prime commercial spaces in Singapore. Also genius are the cocktails at The Secret Mermaid. The bar is helmed by bar manager Kelly D’Cruz (main picture), who unlike most of her peers at other bars has the challenge of putting together a cocktail menu by mostly utilising the spirits brought in by Liberty Spirits Asia. Which she does with aplomb, especially with her knowledge and keen understanding of the merits of each spirit. The special Salmon Bloody Mary ($20++), for example, takes Alaska Distillery’s Smoked Salmon Vodka – no fishes were used or harmed in its making – and uses its smoky, briny notes to up the ante on a regular Bloody Mary, along with fresh cherry tomatoes which are first torched for some char and more sweetness. And while gin & tonics are all the rage in the past couple of years, The Secret Mermaid’s version of Few Barrelled Gin & Tonic ($20++) takes the Barrel-Aged Gin from Illinois-based Few Spirits and uses its richer tones from being matured in charred ex-bourbon barrels to boost the classic’s flavours without overcomplicating things. You might want to try the Apple Vesper ($20++), which uses the Indigenous Fresh Pressed Apple Vodka from Tuthilltown Distillery – the same people that make Hudson Whiskey – to complement the usually gin-forward classic. Kelly will also proudly tell you that there are 80 apples that have helped give life to a single bottle of that vodka. 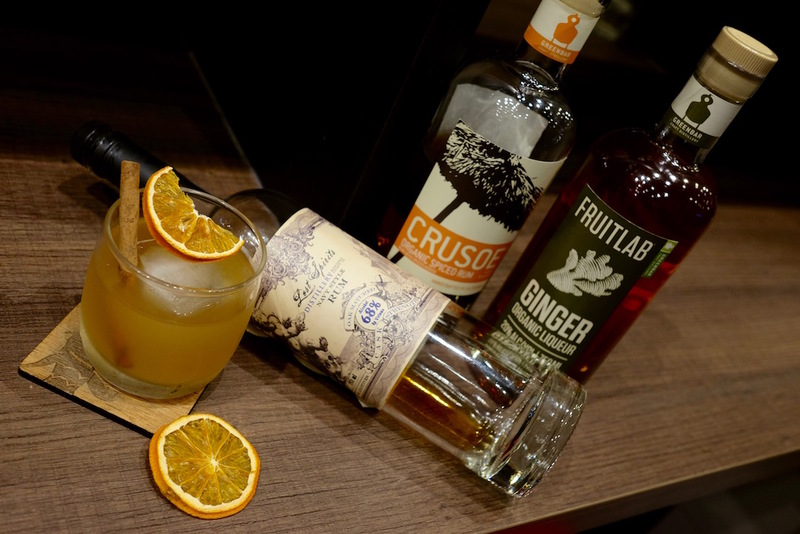 There are many others – a Penicillin that uses Crusoe Spiced Rum, or bartender Frey Soh’s take on a whiskey sour using Koval’s 4 Grain Whiskey, for example. It’s somewhat of a pity that the team at The Secret Mermaid don’t get recognised as much as their peers in the cocktail scene; aside from Kelly’s participation in last year’s Negroni Week they don’t quite feature in the cocktail competition circles in town. Maybe some secrets have to remain secrets. You can find The Secret Mermaid at 10 Collyer Quay, B1-08 Ocean Financial Centre, Singapore 049315.